One of the lessons learned from Superstorm Sandy is that planning and organizing can make all the difference in a disaster. Buildings, community organizations, houses of worship, and other groups that had strong social ties and emergency plans in place were much better prepared to survive and thrive after the storm. Important information about your building, including its hurricane evacuation zone, languages spoken by tenants, and more. Suggested organizational structure for tenants working on disaster preparedness in your building. Answering these questions will help get you thinking about the challenges facing your building and how to address them. This template outlines tasks to be completed by your Emergency Task Force Pre-Disaster, 72 Hours Pre-Disaster, 24 Hours Pre-Disaster, and Post-Disaster. Tips and best practices regarding back-up power, communications, community resiliency, and emergency supplies. Helps you keep track of what you’ve accomplished and what still needs to be done. 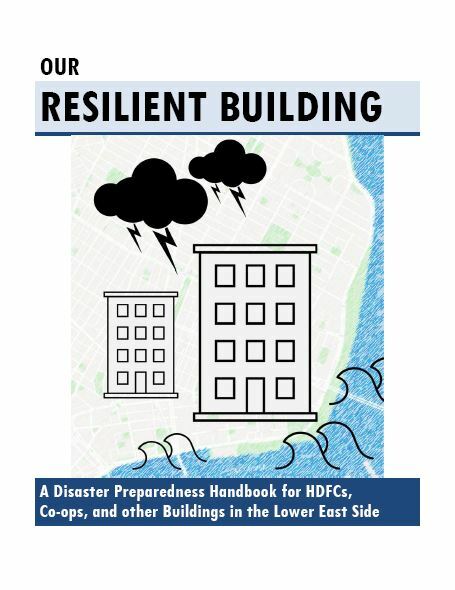 Information and links to various resources including retrofit programs, sample disaster plans, community organizations, and more. Prepare your building for an emergency.